Democratic presidential nominee Hillary Clinton will attend a fundraiser at the home of hedge fund billionaire Marc Lasry despite his known ties to the Russian mafia, according to Politico. Lasry, a longtime friend of the Clintons who employed Chelsea Clinton at his hedge fund, will hold a $2,700-a-person event at his New York City home next week. Lasry threw his support behind Hillary Clinton's campaign earlier this year and was caught crafting a fundraising strategy with fellow Democratic donor Jeffrey Katzenberg during a meeting at the Viceroy Anguilla hotel in the Caribbean. He has also gone on the attack for Clinton, stating shortly after that meeting that Democratic rival Elizabeth Warren "would have no shot at being president." The planned fundraiser, part of a series of New York City fundraisers Clinton will attend next week, indicates the campaign will accept the support of Lasry despite ties to the Russian mafia that forced President Barack Obama to withdraw his nomination of Lasry as ambassador to France. Lasry has also been criticized for his decision to hire a convicted domestic abuser to be the head coach of the NBA's Milwaukee Bucks, which he owns. 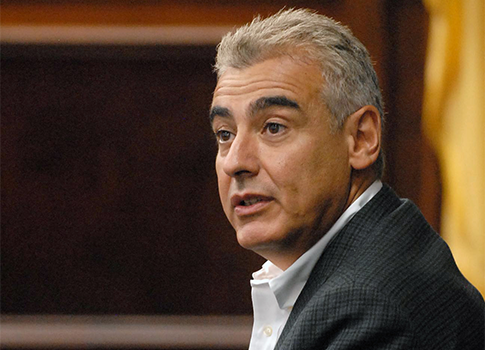 Lasry's son lives in fear of his father, according to a 2014 interview. This entry was posted in Politics and tagged 2016 Election, Democratic Donors, Hillary Clinton, Jeffrey Katzenberg, Marc Lasry. Bookmark the permalink.